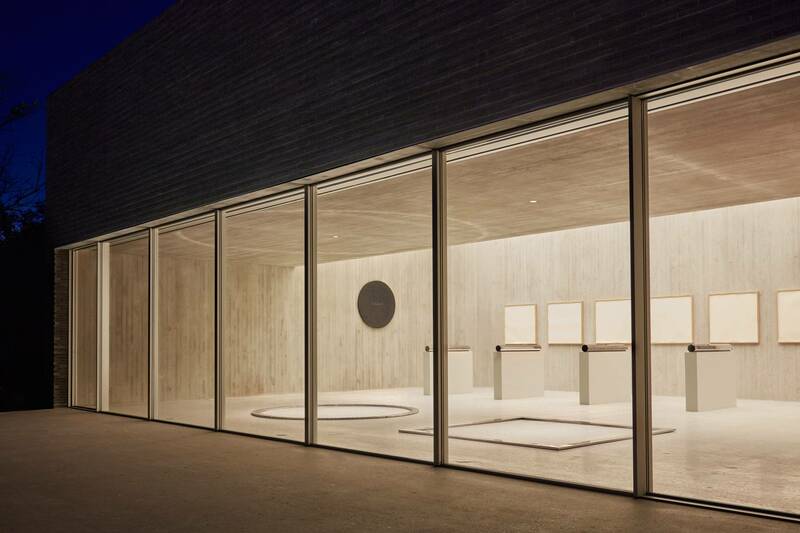 Housing sculpture and drawings by Walter De Maria, the pavilion is the firm’s second single-artist exhibition pavilion on the site. 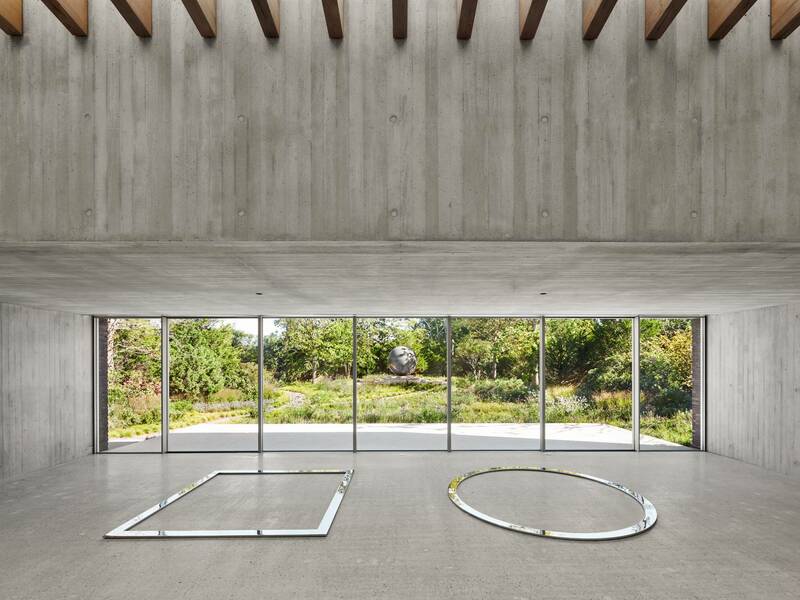 This second pavilion is set within a walled cutting garden, part of an informal art walk that links several contemporary sculptures set on a unique, 11-acre estate. 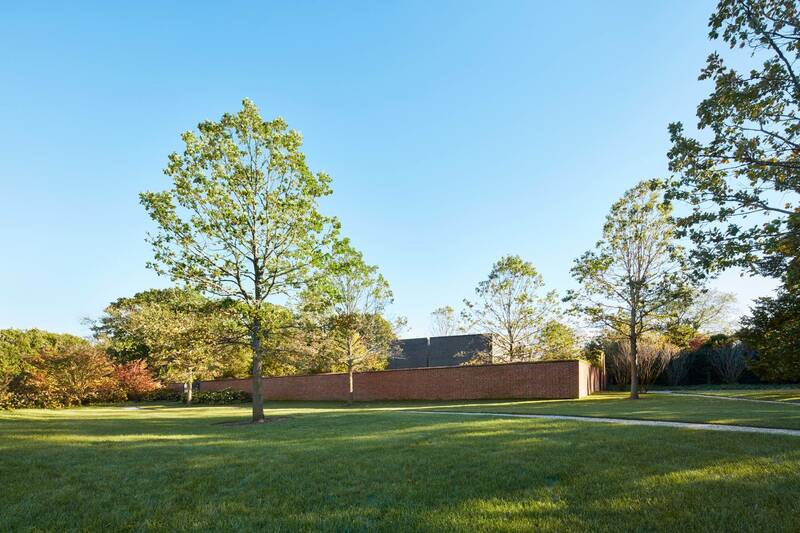 Within this walls, the design inverts the typical formal garden by reintroducing a mix of indigenous plantings: red cedars, bayberry, swamp white oaks and meadow grasses. 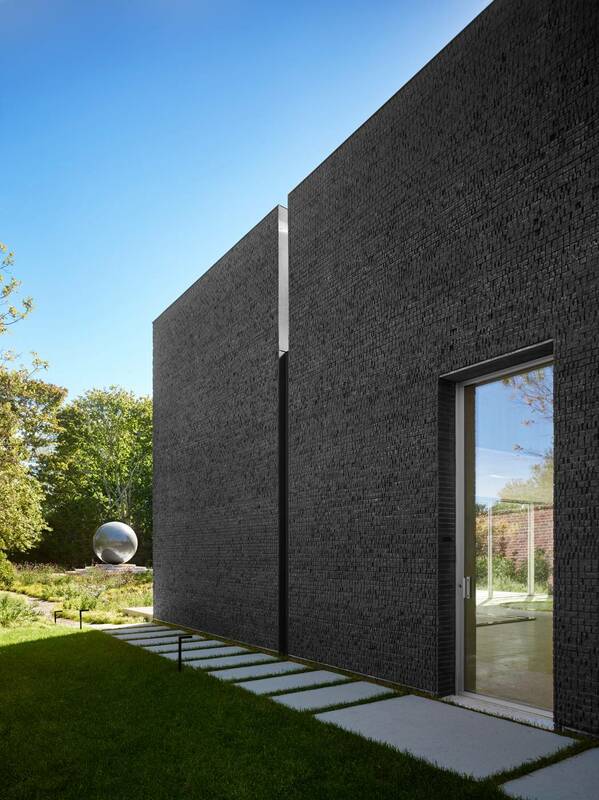 The brick facades of the pavilion reference the 1920s garden wall, but its color is related to the dark granite of “Large Sphere,” a 32-ton sculpture set in the landscape. Composed of twenty-four inch long, dark grey bricks, the east and west faces are set in a random bond pattern with alternating courses corbeled to create shadow lines that emphasize the bricks’ horizontality. The brick at the north and south ends is split and set in a header-only random bond, resulting in a coarse, seemingly random texture. 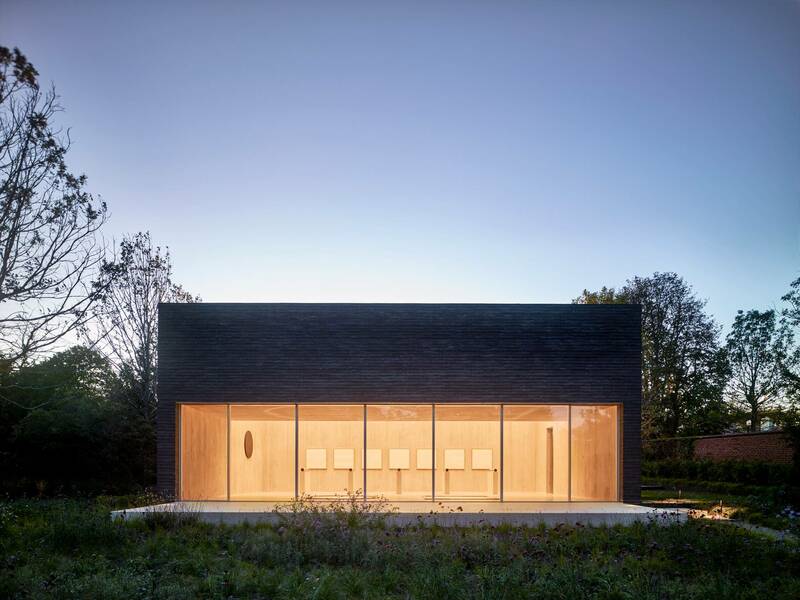 This strategy is a reference to the earlier pavilion where every wood structural member was oriented in the same direction. 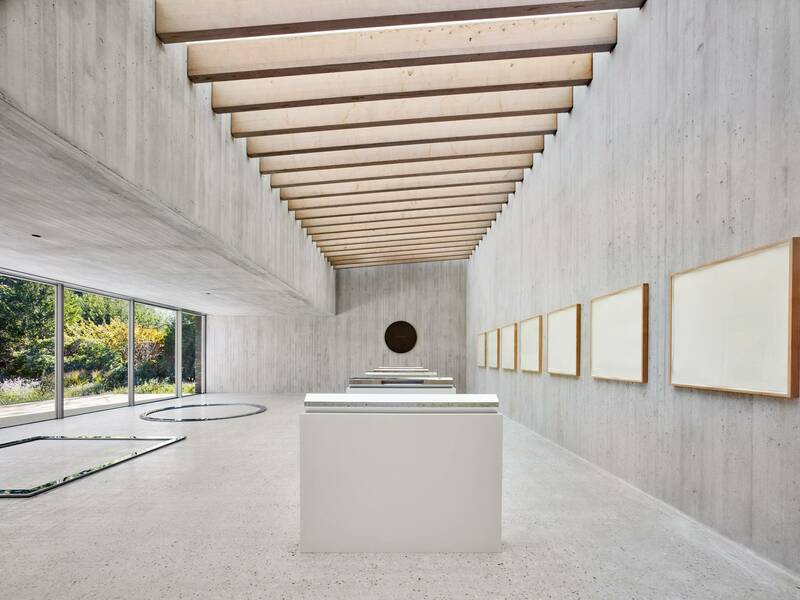 A board-formed, concrete interior frames the art, and is day-lit by a large skylight and window-wall. 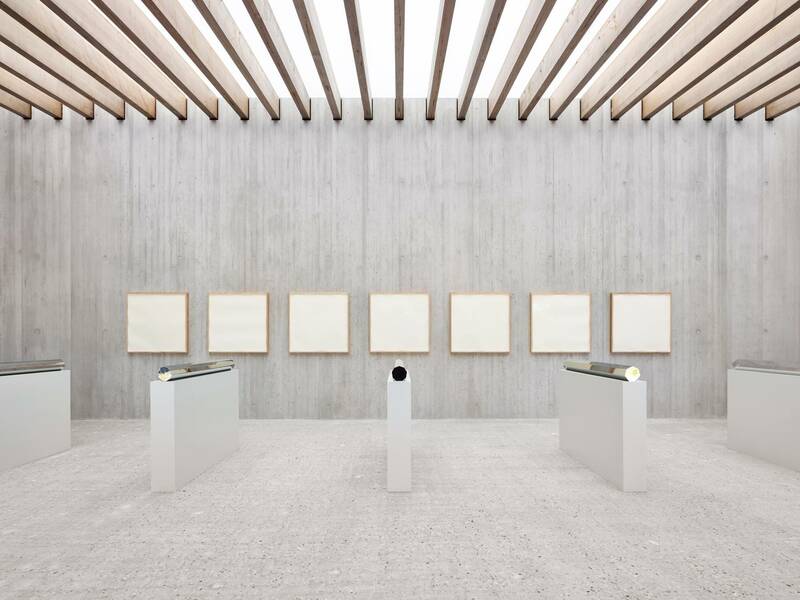 Light levels are modulated by motorized translucent and blackout shades mounted above a fixed linen scrim.Lighting for evening use is concealed above the scrim, with the exception of two down-lights that highlight the floor-mounted sculpture, “Equal Areas”.